Our studio mission is to resonate children and families in thrilling soul-FULL musical memories that will inspire them to GROW into the BEST potential of who they truly are and WANT to BECOME! 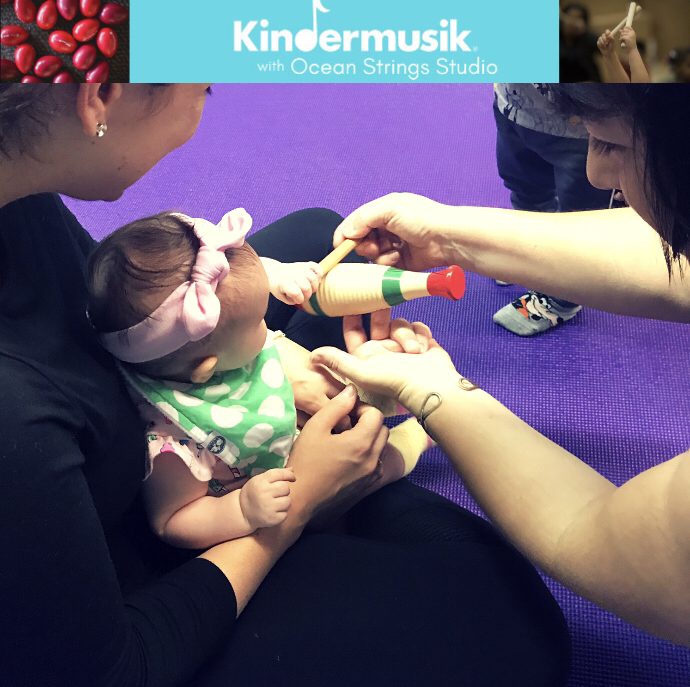 At Ocean Strings Studio & Kindermusik with OSS we believe in experiencing the BEST of ourselves and others around us by stringing many meaningful MUSICAL moments... at EACH and EVERY CLASS. By celebrating the unique and creative ideas each student, child and parent shares TOGETHER we form a musical FAMILY. ​This is a BOND that will nurture and inspire them to not only grow as musicians but THRIVE as HUMAN BEINGS. 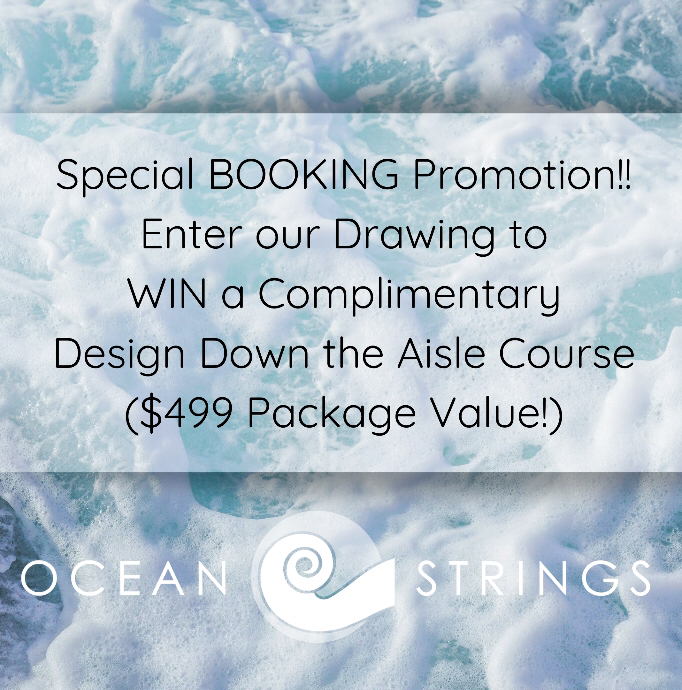 We welcome you to join our Ocean Strings Studio family where we will S-T-R-I-N-G! Grow and flourish as spectacular “waves” on the ocean of humanity! SIGNUP FOR YOUR FIRST CLASS!!! “We just LOVED our hour together! It was FUN and we learned a lot! I can’t get over how much was packed into ONE lesson: Singing, Dancing, Listening and Being Creative! "We couldn't be happier with our experience in Nicole's classroom! Our son is learning to engage in a fun environment with instruments, sounds, games and music that he normally wouldn'thave exposure to at this age. We both have always been inspired by music... since we were super young. I picked up a violin at the age of 6 and immediately fell in love with everything about it! The sound captured my soul! And so began a lifelong love of playing music. There were many ups and downs along the way. Ever since my husband and I launched our private strings studio in 2003 we have begun a journey of inspiring and nurturing young children and people of all ages to play strings! In 2014, I began another thrilling journey that re-inspired EVERYTHING I have done since. ​I became... a mother. From the first moment I heard my little one's heartbeat... I knew I was responsible for helping to inspire someone else's future hopes, dreams and purpose in life- my baby's. Of course, being a musician and string educator I wanted my baby to benefit from this powerful medium that would help shape him to be his BEST potential! However, HOW to do this? I knew how to teach young children strings when they reached the appropriate developmental age of 4/5.. but what about before that? My intense research led me to Kindermusik International University- the leader in music and movement classes for children- newborn- seven years old! Since the nearest class to me was Orlando or Boca Raton... well I decided I needed to change that! After an intense and comprehensive six month training in early childhood education I became licensed in the Fall of 2016! Since 2017, we have had the honor of serving 60+ Kindermusik families on the Treasure Coast! Since 2003, we have assisted over 500 students in private string lessons. Each family we have had the privilege of resonating with has left endearing "heartprints" on our studio's soul! We have seen how music has changed children, parents and bonded our community! Florida Southern College where he graduated in 2000 with a Bachelor of Music Performance Degree. While at FSC, he was principal violist for the FSC Symphony Orchestra, and violist in the FSC String Quartet. He studied there under the direction of Arthur Pranno and Larry Sledge. Today Richard is an orchestra director at Oslo Middle & Storm Grove Middle Schools, where he has more than 180 string students. Richard came to Vero Beach in 2004 after teaching privately and directing youth orchestras in Stuart, Florida. He has performed in and as a soloist with several orchestras throughout the state of Florida. ​He also occasionally functions as MPA judge for various Solo & Ensemble days and Orchestra festivals. Richard is currently violist and co-founder of the Ocean String Quartet / Ocean Strings with his wife Nicole. Richard, WHAT DO YOU ENJOY ABOUT TEACHING MUSIC THE MOST? "I LOVE to see how inspired my students become when we perform music together! Its the most Soulful experience I get to have with them... and we do it EVERY DAY!" Nicole, WHAT DO YOU ENJOY ABOUT TEACHING MUSIC THE MOST? "Ooohhhhh... So many things! ​ If I had to summarize it though.. I absolutely LOVE when we reach an "AHA!" moment either with our children or with a caretaker in our classes! You can tell when MUSIC has just made an impact not only on someone's mind but their HEART. ​And we are bonded as humans from that moment forward! Its such a special glowing feeling and a GIFT that I get to experience EVERY DAY!" Nicole has been performing strings for the past 25+ years and started her musical journey learning the violin with Suzuki and traditional methods at six years old. She studied under the direction of Ed Edwards, Cindy Nordstrum and other teachers in Rhode Island. After her move to Florida she returned to music performance alongside her husband Richard. She has performed with several chamber groups and community orchestras among them the Indian River Pops and the Treasure Coast Symphony and now currently the Vero Beach Chamber Orchestra. She has also co-founded and is the event coordinator for the ensembles Ocean Strings- a quartet and duo ensemble that has performed for many special events on the Treasure Coast for the past 15+ years. She enjoys teaching multi-genre strings to beginning-intermediate students at their Vero Beach studio. She's a current member of ASTA ( American String Teacher's Association) and SAA ( Suzuki Association of the America's). In addition she has passionate interests in community volunteering both with the public school orchestra program and in the Haitian/ French community. ​In 2016, Nicole became licensed in early childhood education to begin integrating the highly successful international music and movement Kindermusik program as part of her new studio classes for infants to age five and their caretakers.